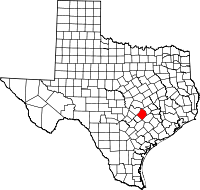 Vital records for Bastrop County are housed at the office of the County Clerk. Birth records were collected starting in 1903, although a few earlier records exist. Marriage records were recorded starting in the late 1800s. Court records are also available for searching. Search Bastrop County Vital Records on line for real estate records as well as birth, death, marriage, and divorce records. Genealogists may find images of the documents housed by the county courthouse, as well as transcribed census records, letters, bible records, cemetery surveys, pictures, and family stories at The TXGenWebProject.